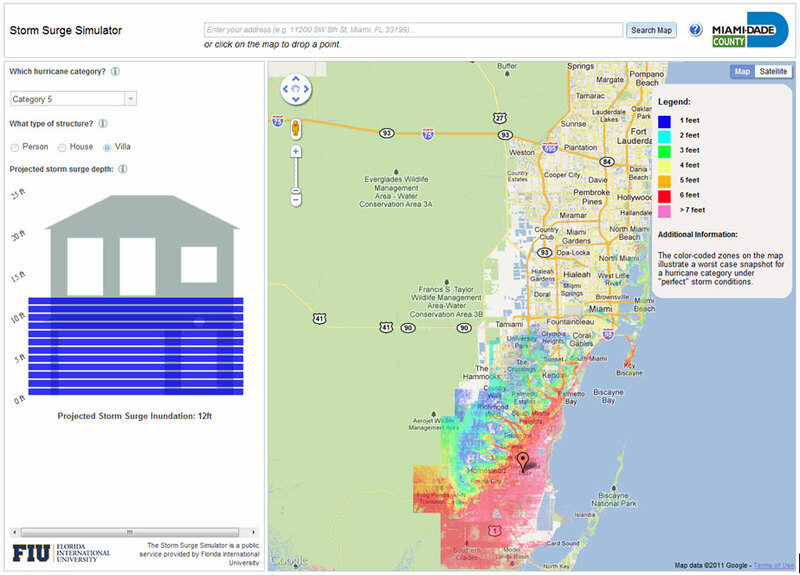 Once a user enters (1) an address in the county or uses the digital map to pinpoint a location of interest and (2) the category of hurricane (using the familiar CAT 1, CAT 2, scale) the system provides the user a graphic of the potential sea water level superimposed on a human or building at the location of interest. This dramatic image makes it clear how human life and property can be at risk given a major hurricane impact. “This has been a great learning opportunity for our student researchers – they really feel like they are making a difference,” said Dr. Chen. For more information please contact Dr. Shu-Ching Chen (chens@cis.fiu.edu) or Dr. Keqi Zhang (zhangk@fiu.edu). A list of recent media coverage can be found below. 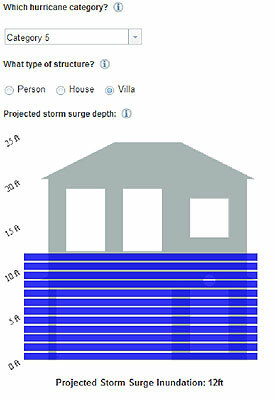 Can Storm Surge Flood Your Home?